At Endress+Hauser, we’re committing to helping companies across all industries produce and maintain the highest-quality products while remaining compliant with industry hygiene and safety regulations. With 50% of all recalls in the food and beverage industry caused by microbiological contamination, companies must ensure the reliability of all equipment. 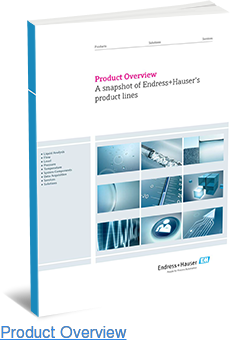 With experience in over 100 countries, Endress+Hauser provides industry-leading solutions to maximize uptime and keep your business and processes running smoothly. We have extensive experience in the brewing and dairy industries, and are proud to advise companies in meeting the new FSMA (Food Safety and Modernization Act) audits. Precise Tracking –Highly advanced tracking and tracing is available to keep track of changes in food guidelines and regulations; information on automated processes allows businesses greater transparency while providing them with a better understanding of their overall process. This ensures compliance with all current regulations while maximizing efficiency and minimizing waste. 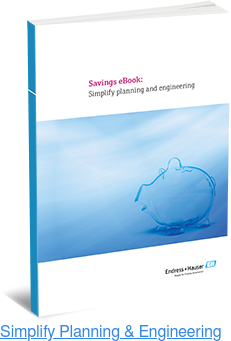 Reduced Downtime –Monitoring material and energy usage allows for improved quality and more efficient processes. Depending on labs for test results often results in extended wait periods, affecting your bottom line; in-line measurement equipment, however, provides real-time results and allows for faster response to process issues. This accurate, real-time data can help you save on water, energy, labor, and raw materials without causing production interruptions. Access To Historical Data –Monitoring equipment allows for a more comprehensive review of historical data, allowing businesses to easily find changes that may affect the quality of food and beverage processes. Access to this type of data ensures that products continue to meet all required health and safety standards. Repeatable Quality –Your customers expect the same quality of material from batch to batch, and you expect your automation equipment to allow you to provide that quality. Through automation, you can track the progress of your batches and ensure that the same level of ingredients is used every single time. 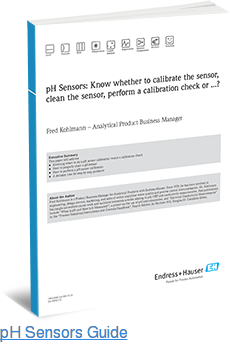 Additionally, levels of pollutants, flow rates, temperatures, and other metrics can be monitored on a point-to-point basis, helping you deliver the quality products your customers expect. Process automation in the food industry optimizes material handling from the delivery of raw ingredients to the packaging of the finished product. And access to valuable information, both live and historical, allows you to continue producing the quality goods you need while ensuring regulatory compliance. At Endress+Hauser, we supply instrumentation that is reliable, hygienic, and easily installed, helping your business remain efficient and competitive within the food and beverage industry. Our technicians are dedicated to providing support for the entire life of your product, from beginning to end.